The oldest motorcycle brand in continuous production, Royal Enfield, launched the limited edition Classic 500 Pegasus motorcycle in India in June 2018. Conceived as a tribute to the Flying Flea and Royal Enfield’s military heritage, the Classic 500 Pegasus is a chance to own a piece of motorcycle history with only 1000 units available globally, of which 250 are being made available in India. 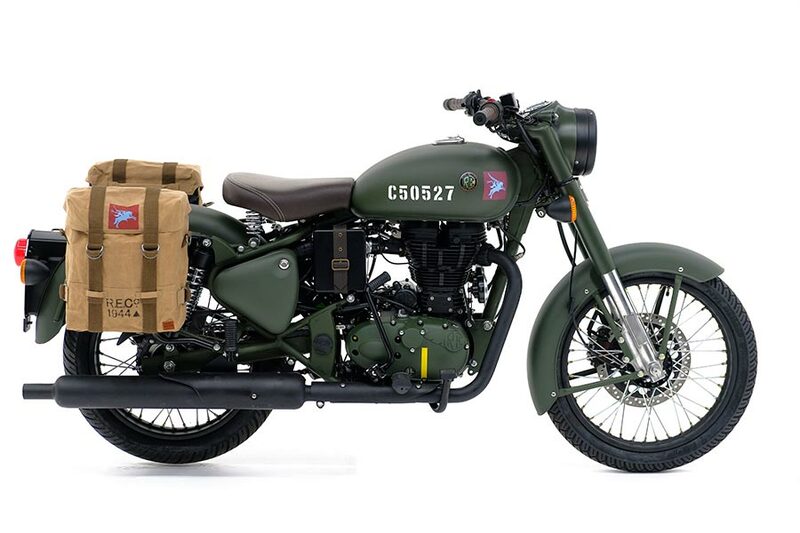 Inspired by the real war story of the first proper motorbike to be dropped behind enemy lines, the exclusive ‘Pegasus’ motorcycle has been produced in official association with the British Army’s Parachute Regiment. Owing to an overwhelming response received during the Classic 500 Pegasus sale on July 10, the Royal Enfield website encountered technical difficulties. With systems now reinforced, Royal Enfield is completely geared up to host enthusiasts. The online sale of the Classic 500 Pegasus will now be held at 4:00 PM on July 25, 2018 exclusively on https://royalenfield.com/pegasus).